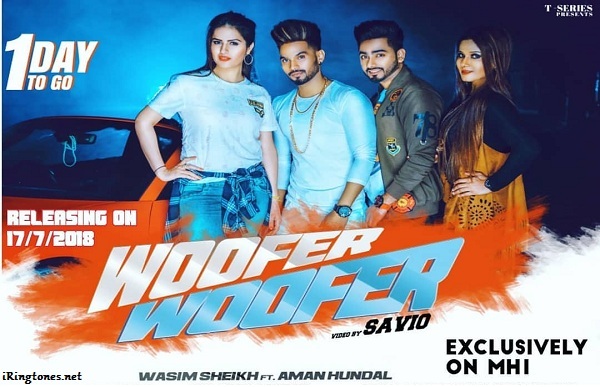 Download Woofer Woofer ringtone free for your mobile phone lossless, it’s in the category English ringtones and artist by Wasim Sheikh (Sheikh Star) ft. Aman Hundal. The music of this Woofer Woofer ringtone punjabi song is created by Mix Singh and lyrics written by Kulshaan Sandhu. It is picturised on Wasim Sheikh, Aman Hundal (Actress & Model), Mehjabi Siddiqui and Azim sheikh in the lead roles. This punjabi song is released by T-Series Apna Punjab on 16th July, 2018.